the life of a limb: Photography Friday: Festive! SO CUTE! Make a Christmas card already!! love it. Adorable! We still to make a trip downtown see the lights. 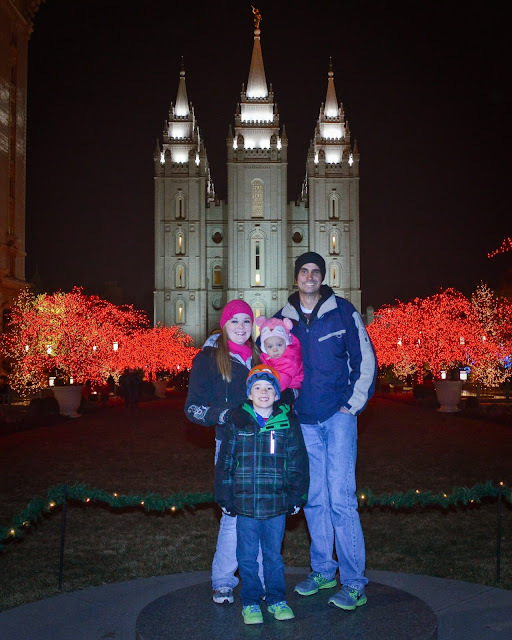 Love the temple, and the family standing if front of it!